Traditional style & Character is hard to beat in this 2006 split BR plan with over 2500 sq. ft! Classic foyer opens to a Vaulted Ceiling LR complete with Gas Fireplace. Single level plan & 2nd level Bonus Rm! Kitchen is a Cook's Dream, complete with Custom style Cabinetry & expansive Granite counters. Hardwood floors are found throughout main living, formal dining & kitchen areas. Convenient 1/2 bath & separate laundry perfectly placed near Kitchen, Bonus Rm & garage. 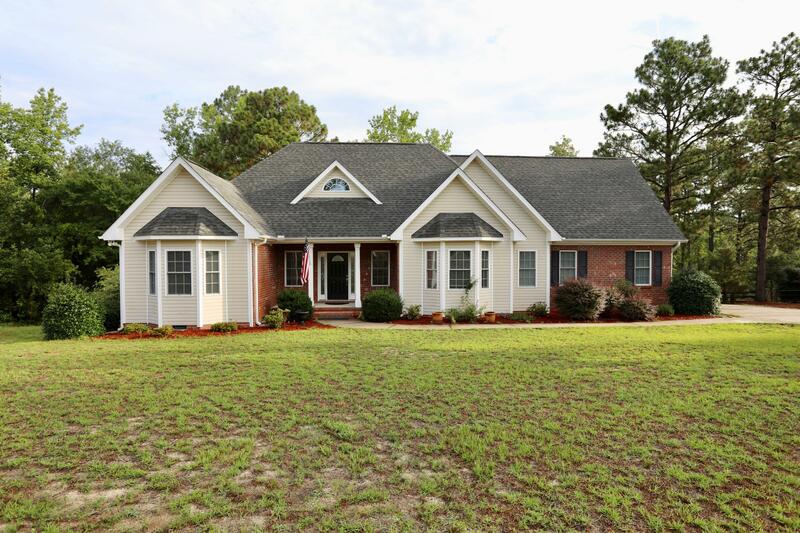 Enjoy the sounds of nature & a Big Carolina Sky on large entertaining deck. Fenced backyard borders private wooded acreage! Large 2 car garage with room for workshop & tons of storage! Pack your bags! Move In Ready! Foxfire offers lovely Community Park with walking trail, play area, picnic shelters & recreation space!